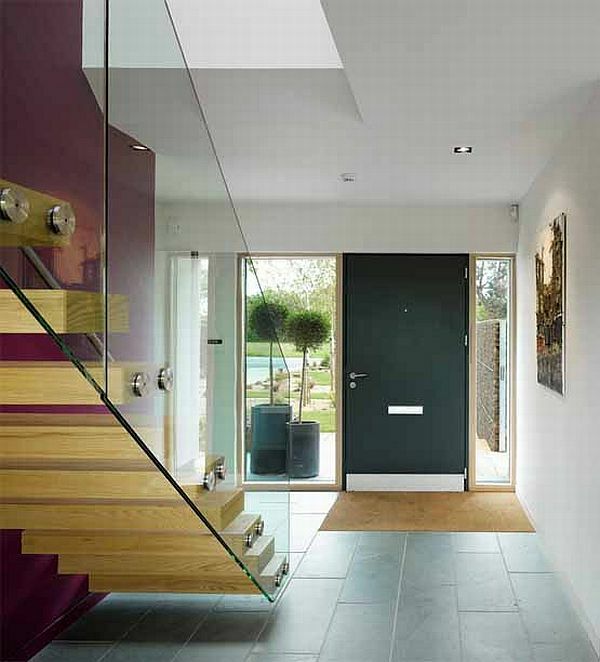 Some building projects call for that certain “wow factor” and floating stairs deliver it! We found some fascinating designs to share from homedit and offer some important considerations for architects and builders with floating stairs in their plans. 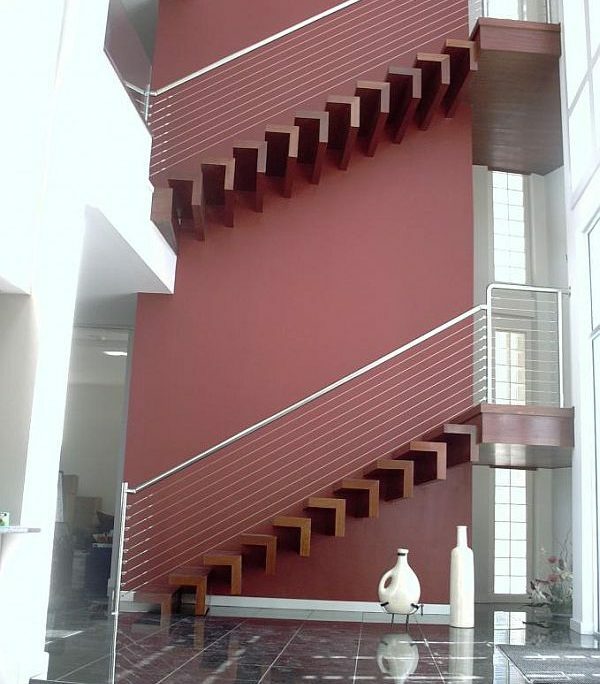 When referring to floating stairs, there are typically no risers and the treads (steps) are supported from the sides – perhaps only from one side. This provides a floating illusion because we’re so conditioned for stairs to have stringers, risers and railings. Floating stairs have unconventional or hidden structural supports so the stairs themselves seem at first to hover or float in space. Some stair designs have people literally climbing the walls! Glass and metal sometimes work very well together in constructing the and structure – glass for its beauty and transparency, metal for its strength and visual luster. Here we’re reminded that floating stair projects often require structural engineering expertise to deal with load bearing integrity in the structure as well as the materials chosen for building them. 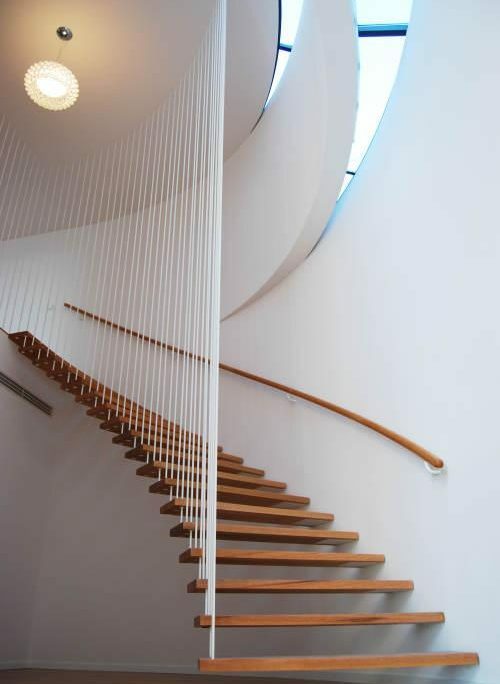 Floating stairs typically work very well in contemporary architecture. They can also bring an unexpected and remarkable feature into the more traditional home or office designs. 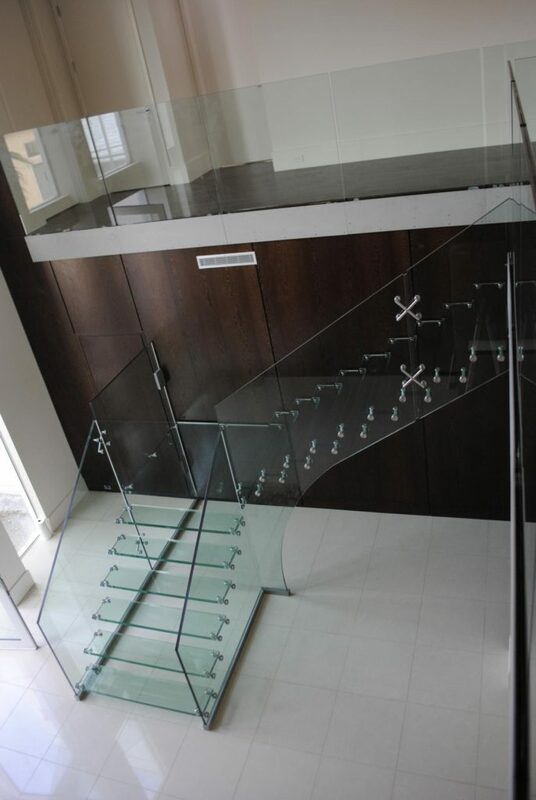 A floating staircase will be a major design feature in any building. The more you see of floating stairs, the more they tend to work your imagination for diverse ways to design your own for that extra “wow factor!” They are trending in popularity and can be the extra touch of design distinction that wins clients over. If you have a floating stair idea or design that you’d like to review for fabrication and construction, feel free to contact us with your questions.